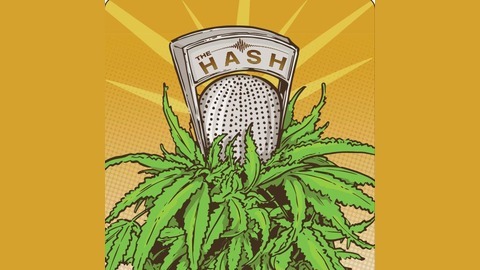 Now fueled by Leafly.com, The Hash is a weekly podcast delivering a concentrated mix of cannabis news and culture. 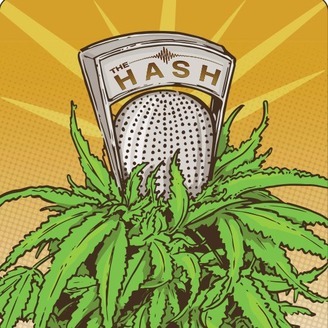 Look out for our new season, launching January 8th, 2019, on Leafly.com! As cannabis becomes legal across the country, the vast majority of Americans - over 80% - still haven’t been inside a licensed cannabis store. Maybe that even includes you! That’s OK - cannabis stores are still a pretty new thing in these United States. But that doesn’t mean your first dispensary visit to be an intimidating or stressful experience. Just ask Dennis Norris II, co-host of the delightful - and delightfully raunchy - podcast Food 4 Thot. We first met Dennis this February in Portland, while we were in town for the Listen Up podcast Festival. Dennis, who prefers gender-neutral pronouns “they and their," told me that they haven’t had many positive experiences with cannabis, and have hardly ever set foot in a dispensary. We ended up taking Dennis to Serra, a beautiful dispensary in the heart of downtown Portland, to follow them through their first real dispensary experience. Listen in as Dennis learns about a handful of various cannabis products, including Serra’s new line of gumdrops, before eventually settling on the perfect product for them.